Made them today and I must say: I love them!! Making these for high school product fair, hope they turn out okay!! We made these today and they came out great! The cookies held their shape really well during baking and were the perfect texture…plus super yummy! Keeping this recipe for sure! Can I substitute the molasses with another ingredient or skip it? or it’s a must ? What if I don’t have the paddle attachment? Can I use the beaters? Hi Brandy, we would say 3-4 days in the fridge, but you can always freeze for a lot longer. We hope this helps, and that you enjoy these! Is light brown sugar ok for this recipe? It will work fine Dana, but dark brown sugar is preferable, as it lends these cookies that classic dark, molassessy flavor. We hope you enjoy! my name is Elise. I love your recipes! So far I have made your carrot cake and pumpkin cupcakes/muffins. My mom is gluten free and I’ve found your recipes work great with the gluten free flour we use called Pamela’s. 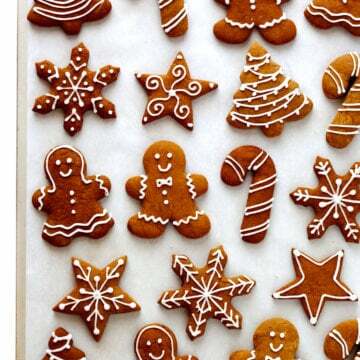 Now my friend and I are going to bake your ginger bread cookies! Bye Ali thank you so much! Hi, I like to make gingerbread house. 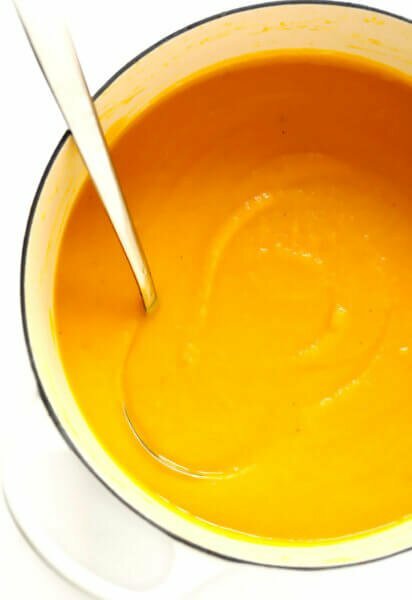 Have you tried to make it with this recipe? Hi! 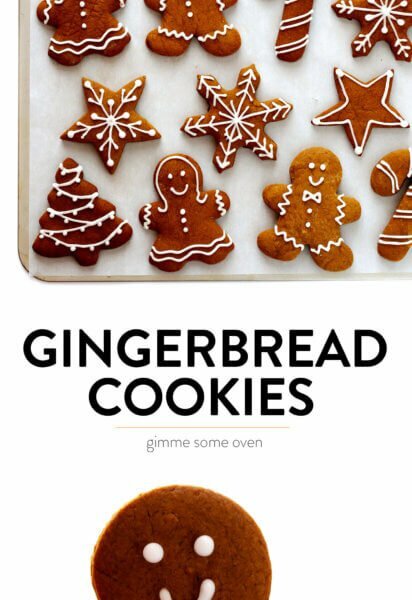 These look awesome and I’d love to make them this year. I’m loving all the spices in the recipe, but I’ve never bought molasses before. This may be a dumb question but is all molasses unsulfured? Is Grandma’s Original Molasses unsulfured? Thanks! I have just made them and want to make 2 more batches ASAP! Unfortunately, I ran out of molasses and referred to the comments section to check how substantial it is to use it, if it was only for the colour. It seems I have to wait for tomorrow and get some more. :) Anyway, the cookies are wonderful! Thank you so much for the recipe! Happy holidays! This recipe looks (and is sure to smell) delicious! Do you know if the dough freezes well? Thanks Megan! And yes, the dough should freeze great. We hope you enjoy these! In regards to not using molasses, a friend of mine uses either maple syrup or honey when making gingerbread and it tastes more like gingersnaps as opposed to gingerbread. I sometimes use half honey and half molasses. 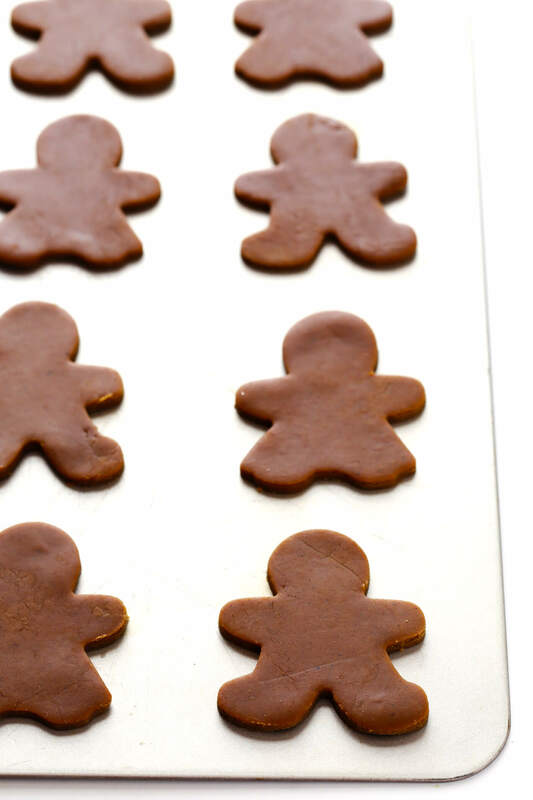 When I think of types of cookies to make, I always forget the typical gingerbread cookie! 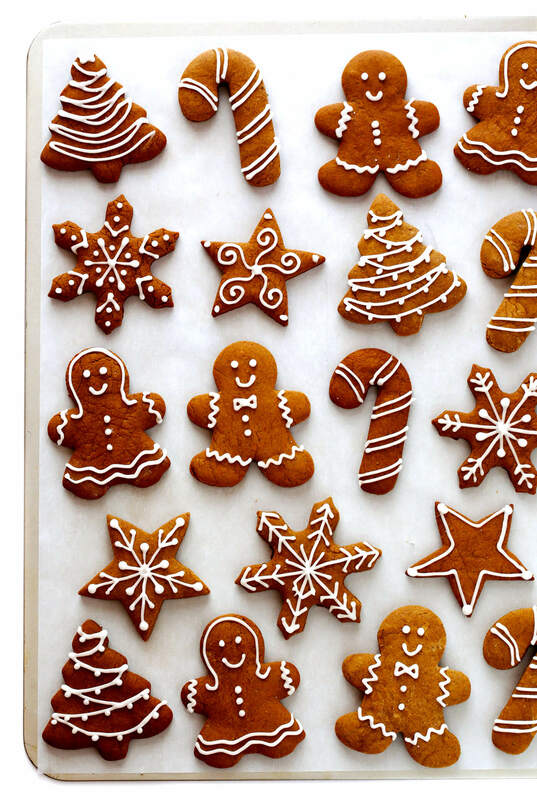 This post just reminded me of the charming little gingerbread men I could make this holiday season! Thanks for sharing! Hi thank you for this recipe! We’re excited to try it but we’re wondering if we roll it out a little thinner Or cook them a minute longer would we get more of a crispy cookie? I use a similar recipe but it doesn’t allow for cookie cutters, just a frozen brick to yield small rectangles which were thin and crispy and good but just not fun without the shapes. Thanks in advance! These are adorable! Something about gingerbread just takes me back to childhood. Can’t wait to make these! 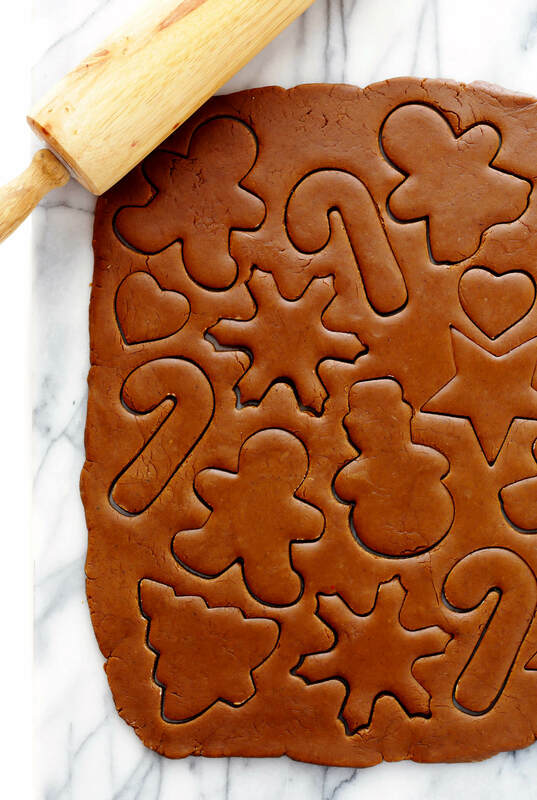 What a perfect gingerbread recipe! My kids can’t stop eating them. Saving this one forever. Happy Holidays! I selected this recipe for my Sunday afternoon holiday baking after reading everyone’s rave reviews! The dough was very dry & crumbly when rolling out (turned into a chore versus a fun afternoon.) I read and re-read the recipe to see where I might have gone wrong- but I followed the directions to a “T” and yes, I chilled the dough for 2 hours and let it sit for 5-10 minutes before rolling out. After baking, the cookies are very dry. Hi. Just wanted to let you know that we baked the biscuits yesterday and they were a great win in my house. even my husband joined in the baking and this wouldn’t be normally like him!the biscuits are just delicious, thank you very much for sharing the recipe. When I get the chance to post on my blog I will definitely link to your website. Happy holidays and thanks again. 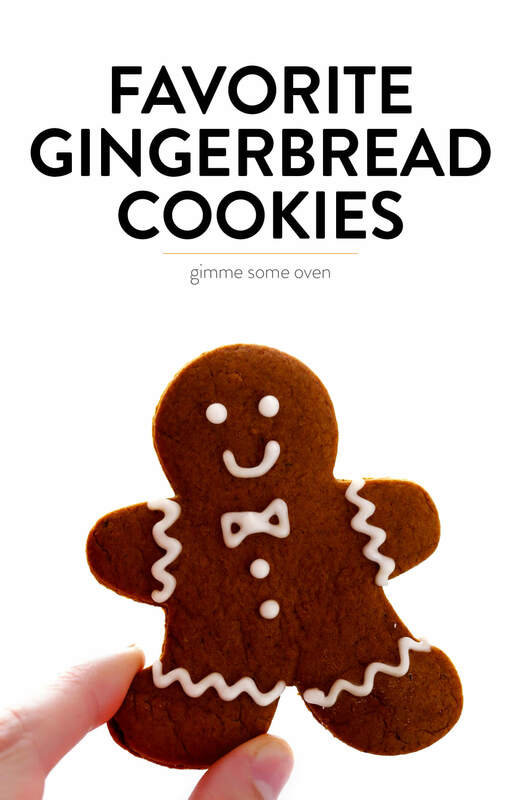 Baking these cookies now, and they are delicious! Best gingerbread cookies I ever made. The flavor of these are quite nice… i also upped the ginger a 1/2 teaspoon and added white pepper. However, I am not sure how anyone could get 45 cookies out of this recipe. My cookie cutters are a bit large, snowflakes 3 1/2″ across, but on the first pass I was able only to cut 16 cookies. On the second roll of the remaining dough, I was able to get 10 more. The rest of the dough pieces i just laid out and baked for use as crumb in crust, parfaits or yogurt. Hi Bobby — we appreciate your feedback and we’re glad you enjoyed them! It does sound like your cookie cutters were larger than ours, so that’s why you didn’t get as many. oOMygosh. Soo good. 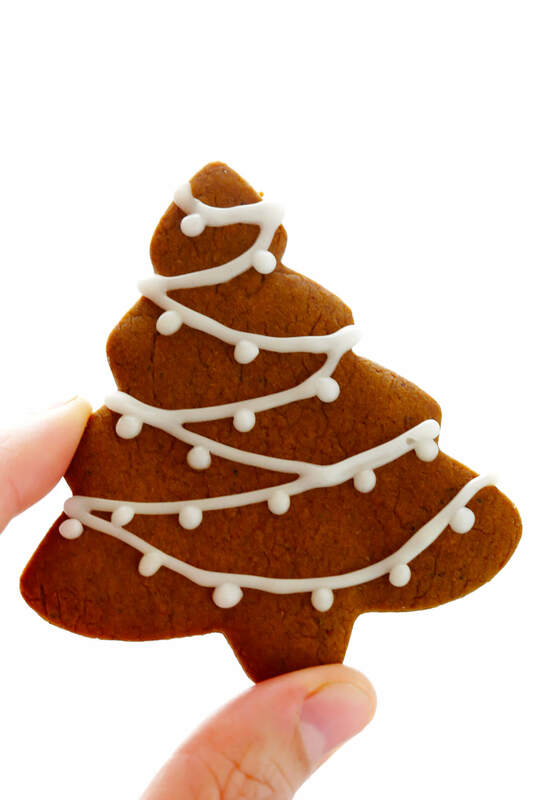 THis is the best gingerbread cookie recipe I found so far!!! Thanks for sharing them! You made my Christmas! I made these cookies for a cookie exchange at work. They were delicious!!! I’m at my sister’s house for the holiday and I want to make them for her too, but she only has spread instead of butter. Will this work in the recipe? We’re so glad you enjoyed them, Sherry! 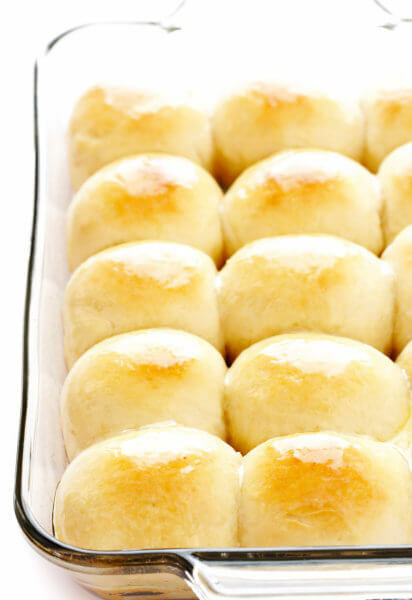 We haven’t tried using anything other than butter in these though, so we can’t say for sure. You’re welcome to give it a try, but we’d strongly recommend using butter if you can. These look so good! Are the results soft or crunchy? Hey there! They’re soft. We hope you enjoy! We make these every year. This recipe is the best!! I’ve been making these for the past 3 years. My nieces and mom love them! There is just one thing… the recipe ingredient list calls for 1 egg. The instruction says to add the eggs. I know it’s just my anxiety, but I always have a slight freak-out that I’ve missed something. 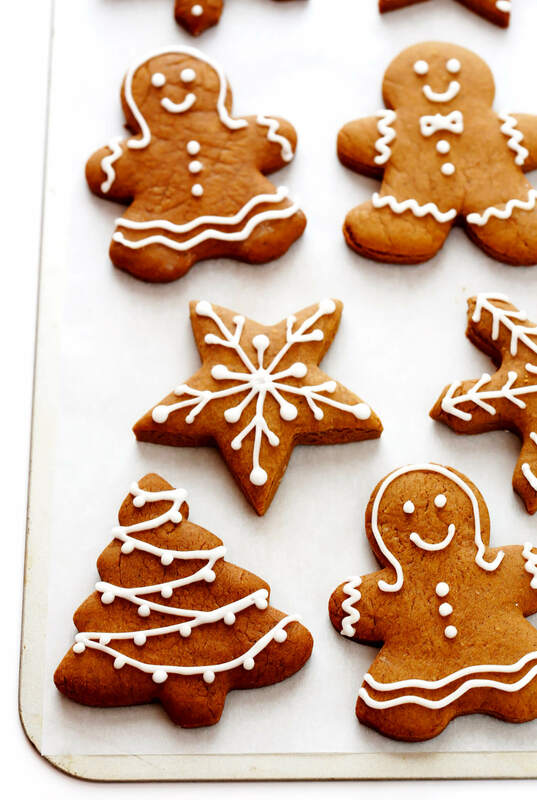 The best gingerbread cookies, easy to make and delicious to eat!